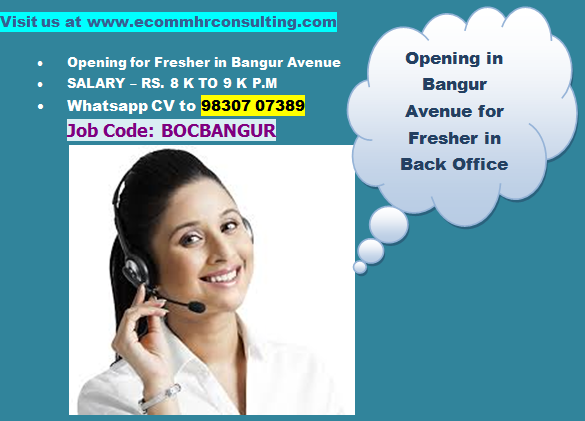 Working Hours: 10:30 AM TO 7 P.M.
Job Location : Minto Park, Howrah - Shibpur and Nager Bazar. Eligibility : Graduate from any stream. Follow up calls with vendors and clients. Schedule: 12 P.M TO 4 P.M from Monday, Tuesday, Wednesday, Thursday, Friday or Saturday.